Are you a fan of the television show “CSI: Crime Scene Investigation”? In each episode, forensic investigators examine evidence to solve grisly crimes. If you’re into crime-solving, and love digging into data, a career as a forensic accountant may be for you. A forensic accountant is just like a detective who solves white-collar financial crimes. You’ll search for clues in computer data and financial records, and interview witnesses and other involved parties. You’ll have to sift through evidence, perform analyses, prepare concluding reports and even give court testimony. Your employers will be lawyers, police departments, insurance companies, banks, government agencies, private businesses, non-profits and estates. There is a big difference between an accountant and a forensic accountant. An accountant collects financial information, working with reports and data provided by the employer. But the forensic accountant digs deeper into the financial workings of the organization, not only compiling data but auditing and analyzing it, looking for illegalities such as money laundering, fraud, embezzlement and other financial crimes. Just like all accountants, a forensic accountant must have a good grasp of GAAP – Generally Accepted Accounting Practices, the rules that form the basic framework and standards of accounting in the U.S. Knowledge of legal procedures and business practices is essential. You’ll also need to be an expert with financial statements which show assets, liabilities, profit and loss information. Intrigued? 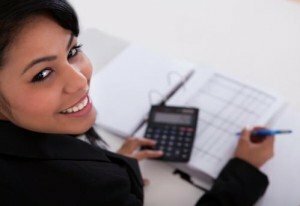 Want to learn more about becoming a forensic accountant? Read on for specific steps to make a career in this field. Get the right college degree. The first thing you’ll need is a B.A. degree, preferably in accounting, or in a related field such as finance with some accounting courses. It helps to include courses in law enforcement or criminal justice. Search for colleges by major and location at BigFuture, sponsored by the College Board. Consider online colleges and universities. Not only is online learning flexible, with coursework available 24/7, but it’s cost-effective as you can continue to work and you’ll save on commuting costs. Look at college financing options. Don’t overload yourself with student loans. Check out The U.S. Department of Education’s Federal Student Aid (FAFSA) website for financial aid information. Contact schools directly for other aid such as scholarships and work programs. Get job-related experience. Employers look for forensic accountants with a few years of accounting experience at an accounting firm, corporation or government agency. Enhance your resume. A CPA (Certified Public Accountant) certification is required for success as a Forensic Accountant. Find out about the CPA exam and other requirements at the American Institute of CPAs (AICPA) website. Other certificates that will improve your chances at success as a Forensic Accountant are the CFF (Certified in Financial Forensics) certificate, offered by the AICPA, and the Certified Fraud Examiner (CFE) certificate sponsored by the Association of Certified Fraud Examiners (ACFE). Get a graduate degree. Continue your education and experience by going for a graduate degree in accounting or an MBA with an accounting concentration. There are many universities that offer these degrees online as well as in traditional classrooms. You can help fight white-collar financial crime and at the same time enjoy a fascinating and rewarding career by becoming a forensic accountant.